I have always hated the focus on programs or textbooks. When a district adopts a new program we are told, “You need to do the program to fidelity”. What does that mean? Shouldn’t we be meeting students where they are and guiding students in the learning process? How can a single program be the right path for every student? I hate the term “fidelity to the program”! What about fidelity to individual students’ learning? I recently had a meeting with the 6th grade teachers in my district and we had to discuss 1 of 4 topics: program assessment, program pacing and planning, differentiation, and program technology. I am not sure why we were doing this? What outcome was expected? But, It was through this discussion that I noticed people, myself included, allowing the program (in this case the textbook) to make their instructional decisions instead of they, the teachers, making the instructional decisions based on their students’ needs. And, when they did, there was an underlying sense of guilt of not following the program or of doing something wrong. That frustrates me to no end. What it comes down to is people want to follow directions and do what is right. But, my question is what is more right? Is it to follow the program or to follow students’ needs? (That was rhetorical. 🙂 ) We need to remind ourselves that we must do right by our students and not the program. This made me reflect on content understanding, content standards understanding, and student readiness understanding. This is what we need to focus on because the people that understand content and standards deeply, have a much greater ability to differentiate and meet students’ needs. I can see where students need to be and a path of how I can get students there. In my conversations with others, they have indicated they don’t see the goal. They don’t see the path. This is a vital piece. 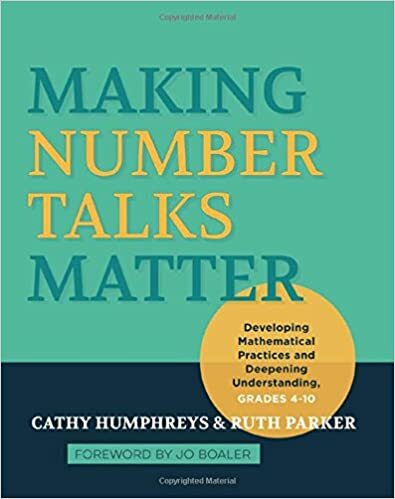 The past two years in our district when I was a TOSA, we were really focusing on this: learning the CCSS for math, and we were deepening our content knowledge in math as we learned about Number Talks and mathematical reasoning with CGI. We were scratching the surface. (Maybe I left too soon, but maybe being thrown back into the classroom was the best thing. Only time will tell. ) People were struggling and they were overwhelmed with the planning of math. At times there was too much struggle, and thus the district decided to adopt math texts, both with good qualities. Both have some strong mathematics. I am now back in the classroom after supporting teachers through that process and we have a newly adopted program. I am now hearing teachers battling with “following the program”. It is clear that their gut is telling them what their students need and instead of addressing those needs, they are “following the program”. Teachers, or the majority of teachers, have dropped Number Talks even though they noticed the benefits and the power they had for student learning. I spoke with one teacher yesterday, “I miss Number Talks,” she said. “They (students) got so much out of them.” My response? But, I can’t judge. I catch myself doing the same thing. 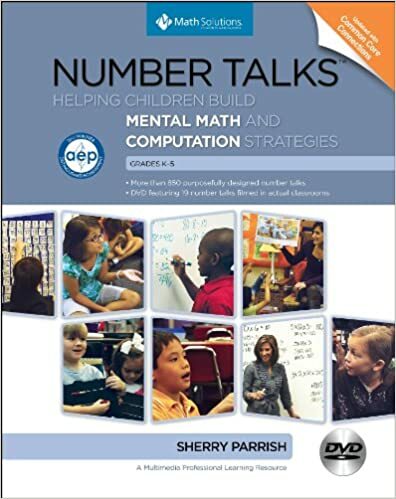 Number talks changed the way I saw math and taught math when I was first introduced to them 3 years ago. CGI was then the next catalyst for me…focusing on students’ mathematical thinking and using what they know to move their learning forward. But, how many Number Talks have I myself done this year? A few, but not as many as I should have. Have we done a lot of great math? Yes! Have we done some things just because I wanted to stay on pace with my team? Ughhhhhh….I have to admit it. Yes. Am I teaching in a sequence I don’t agree with? Yes. There is this underlying pressure to stay on track with a program, but I know my students better than the program, and need to do what they need, not what the program is telling me they need. I feel conflicted. I want to teach with the sequence I came up with two years ago. I want to teach and move with my students. I can do this. I have the knowledge to do this. But, I am suppose to follow the same textbook and chapter tests as everyone else. 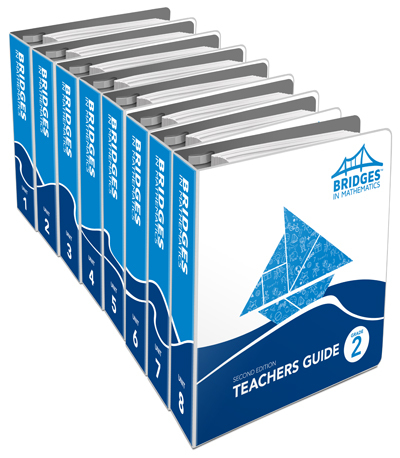 So, I follow the pacing, I use components of the textbook (the really good problems) and I open up some of the other problems. I work with my students’ needs and do alternate math work two days a week and I differentiate with open problems and needs based grouping at times too. But, I can do better. I will keep working. Differentiation is hard. But, it is especially hard if you do not know the content in depth or you do not know the progression of learning students need to take. Having studied math education in depth over the last few years (I am not an expert), I know the progression of mathematics learning (always more for me to learn), I have things in the back of my pocket (always more that I can learn) that I can pull out when we are discussing a concept that allow me to take a step back or a step forward when needed. But, I know that is not the same with others. I compare it to my science teaching this year. I have only the most surface level understanding of cells: cell structures, their functions, and what the progression of learning is. Thus, I really struggle with leading a discussion on it. I don’t know what questions to pose, what are prerequisite skills, really how far my 6th graders are suppose to go in the topic, and all of that makes it really hard to teach. 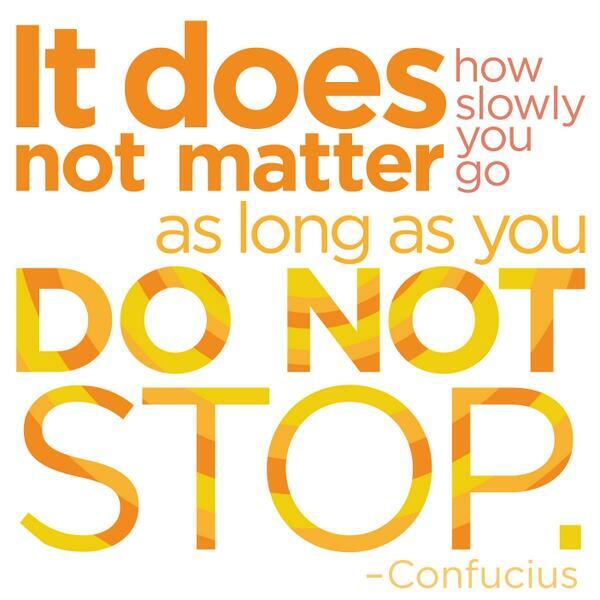 I have been researching cells, watching videos, doing what I can, studying NGSS, but I am only minute ahead, not even a day ahead of my students. I then run out of time to plan the best way to help my students acquire the information and use it. I have done some good things, such as our inquiry about the hydrogen peroxide and chicken liver and potato, but I didn’t follow up with the depth that I know I should have. I will be moving on to a unit on currents soon, and I will have a program for that. It will be interesting to use a program in a content area I am not strong in. Will it be the key to allowing me to support my students effectively? Will it be a vessel for my own learning? How many of my own instructional practices will I use instead of the program’s recommendation? Will I just follow it or will I break from it when I sense the needs of my students? The tension is great. It is easy to know what the research says. It is easy to say what to do. But, doing it is a whole other level. I will get there. I will keep exploring, reflecting, and ultimately find the right balance. This past week, I set a goal to know my students more and focus on them. What I found was I did a much better job of “teaching”. I wasn’t as worried about making sure I was teaching everything, but I really tried to make sure that they were carrying more of the cognitive load than I was. I decided it was more important for them to process and think and have the time to do that, than completing everything that I felt we needed to complete. As I have said many times over and over again…it is not about all the skills, facts, pieces of knowledge, but it is about the learning process and the critical thinking skills; the practices of learning that are most important. I just have to keep reminding myself about this and focusing on what my students need, not trying to do it all. How do you make sure you are meeting your student’s needs and not just following a program?